Toronto’s extensive ravine system is often considered to be our most distinctive geographic feature. While we may not think about ravines as being a part of our day-to-day lives, they’re a big part of how we get around, how we unwind and how we connect with nature. A recent article in the Toronto Star described a time in the 1920s when our ravine system was considered so “utterly disposable” that people would wash their cars in the Humber River. In fact, the health of Toronto’s waterways suffered for a long time because they were seen as dumping grounds for residents and industries. Historically, ravines in Toronto were routinely filled in for development and industrial use, hindering the river’s natural ability to control flooding. With these industries now gone, the task now becomes improving the water quality of these waterways and restoring them to a more natural condition. 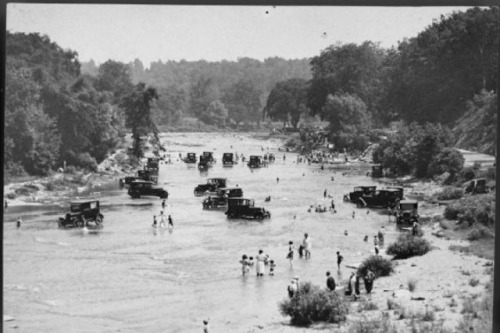 When ravines were considered disposable, residents would wash their cars in the Humber River (Source: City of Toronto Archives, Fonds 1244, Item 1237). While ravines offer a sense of seclusion and quiet in the midst of the city, these same qualities have made some residents nervous about visiting their local ravines. For many who grew up near ravines, there have long been rumours of flash floods, crime, wild animals and numerous other hidden dangers that lurked in ravines. Decades later, residents are echoing these same concerns. The Toronto Star published an article recently on why the ravines by E.T. Seton Park are largely underused by residents, listing safety concerns and lack of access points as contributing factors. Although the chance of incurring an injury or encountering any dangers along the ravine paths are slim, it can be hard to shake many of these rumours. By encouraging more people to discover their local ravines, the more we can lift some of the stigmas associated with one of our city’s most valuable assets. There are many resources and opportunities to explore these ravines either through a self-guided tour or one of the many guided tours offered in the city. 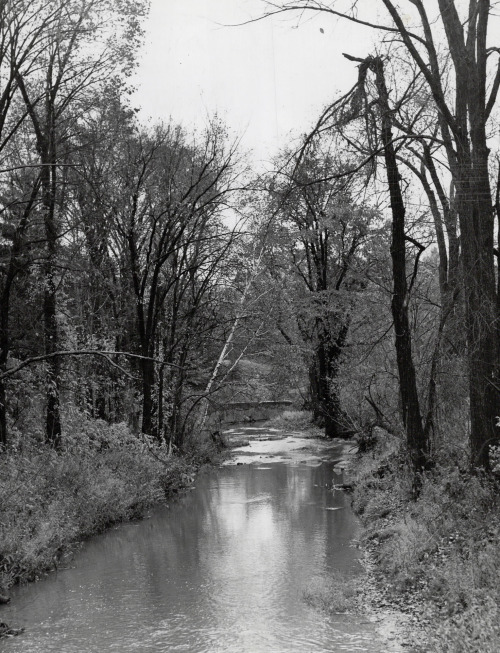 Archive photo of the Don Valley ravine, 1944 (Photo credit: Toronto Star archives). In September 2017, the City of Toronto completed a Toronto Ravine Strategy. Through consultation with the public, the TRCA and a wide range of stakeholders, the strategy includes improvements such as better gateways into the ravine, navigation once there and how to publicize historic places. 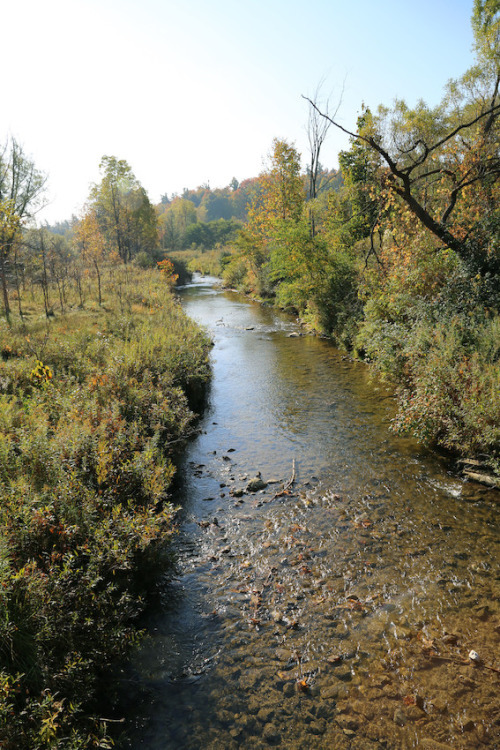 The strategy acts as a framework to guide policy, investment and stewardship related to ravines with an aim to balance the fine line between protection and use. Learn more about Toronto’s Ravine Strategy. You can also discover some of the Don Valley’s many ravines by checking out the Walk the Don trail guides!